Tony Benn, in Edinburgh, Scotland, 2008. © Jeremy Sutton-Hibbert 2008, all rights reserved. 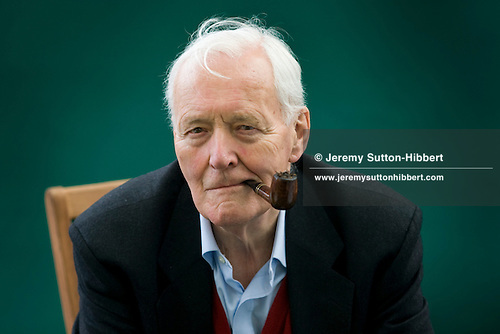 Tony Benn, the great Labour politician has passed away aged 88. I was fortunate enough to photograph him on many an occasion, mostly whilst he was in Edinburgh for his highly popular readings at the Edinburgh International Book Festival. The shot above comes from one of those occasions. He always sat for photos and photographers with great patience, kindly and humourously obliging us with puffing on his pipe endlessly to give us the smoke we wanted in images. I hope they have his favourite pipe tobacco wherever he has departed for. Godspeed Tony Benn.